I am delighted to say that my friend and colleague Jim McGovern has been re-elected as the MP for Dundee West. You can see the result here. Jim and Labour's campaign team fought very hard for this victory. It was very satisfying for Jim to increase his majority. 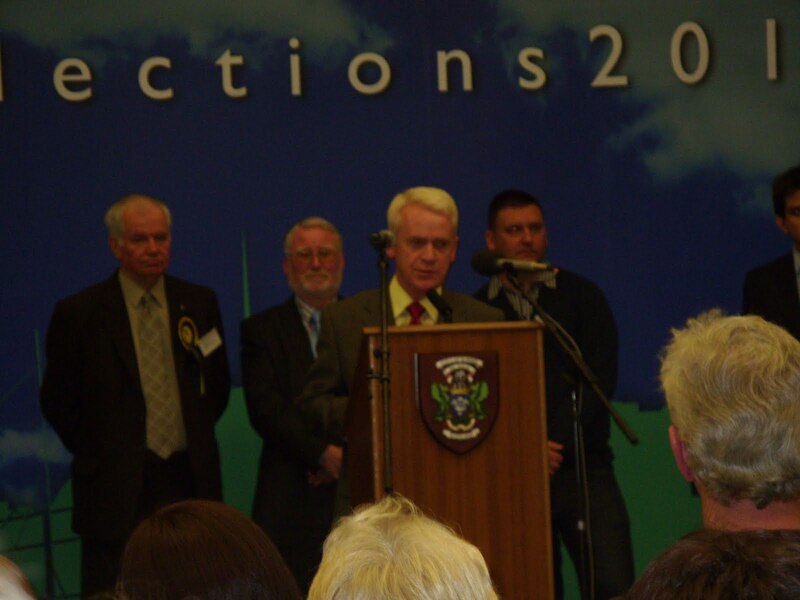 The SNP threw a great deal of resources at this seat. In the West End we were also treated to the bizarre sight of a former Conservative and Unionist councillor putting his name to an endorsement of the SNP candidate. I certainly enjoy election day, for party activists it is always a long day, but it is good to listen to the concerns of local people. I spoke to a lot of people in the West End on Thursday and will be taking up a number of constituency cases as a result. I look forward to working closely with Jim in the future championing the concerns of the people of the West End of Dundee. I urge everyone to vote in the election, no matter who you vote for, it is important to make your voice heard. Obviously I would urge you to vote Labour and to vote for Jim McGovern in Dundee West. Like Alex Ferguson I think that the UK has changed for the better over the last 13 years. Labour has delivered many things including the Scottish Parliament, the minimum wage and greater support for families. Like my colleagues Councillor Laurie Bidwell, Labour's Education Spokesperson, and Jim McGovern Labour's candidate for Dundee West I am concerned that delays in properly setting up the Scottish Futures Trust are leading to further delays in the much-needed rebuilding of Harris Academy. You can read about this here. The Labour Group on the City Council is keen to help the Council deliver this school, we will not let petty-party politics get in the way of delivering for the people of Dundee. Action is required. Richard Wilson outlines how important it is to spend sixty seconds going to vote on Thursday. Gordon Brown made an excellent speech at the Citizens UK Assembly at Methodist Central Hall in London. This is an passionate plea for fairness and demonstrates what is important in politics not image but ideals. Please have a look at this video.